Iran said it would not give permission for Euronews to work within the country "if it were to be like other foreign Persian channels". The idea of Euronews working within Iran, which recently began broadcasting in Turkish, is not being looked at favorably by the Iranian government. 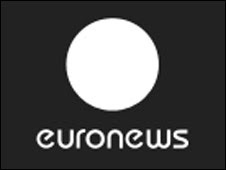 The Iranian Minister of Culture and Guidance Sayid Mohammad Huseini said that they would not give permission for the Euronews television channel to set up a bureau within the country for its Persian-language section "if it were to be like all the other foreign Persian channels that broadcast to Iran". Huseini, accusing foreign Persian channels of not being objective, said that "apparently these channels want to provide information and broadcast films, but their real objective is something else. They are set up to affect public opinion and impose their own ideas". Huseini also mentioned the events that took place last year after the presidential elections in Iran, saying that they saw how these channels worked as 'command and brain rooms' (can't think of a good term for this but means a kind of political war room or propaganda centre) and carried out provocation, and that "of course we would not give them permission to set up a bureau if they were to carry out these kinds of broadcast politics." Iran has not given permission to Radio Farda, BBC and VOA's Persian language channels to operate within Iran on the grounds of interference with internal affairs. Most centres for these Persian television and radio channels, about fifty in total, operate within the United States and Europe. The day Euronews in Persian is set up will also be a great day for students of the language, as their videos more often than not agree with the text below, making it easy to both read and hear the news at the same time. The last post here on Euronews in Persian was in January, here, where the channel was said to be planning to start broadcasting in Persian near the end of 2010. The Turkish-language version was also a bit vague about the exact start date right up until just ten days before it began (though it did specify before then that it would be in January), so it's not likely we'll know an exact date ahead of time for Persian either.